Supported Employment is one of many effective ways to assist people with developmental disabilities in gaining and maintaining competitive employment. 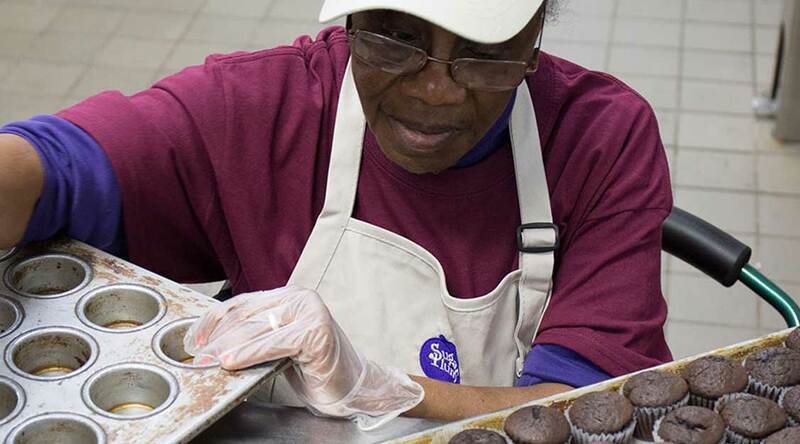 Sugar Plum Bakery‘s partnership with Department of Aging and Rehabilitative Services (DRS), and Department for Behavioral Health and Developmental Services (DBHDS) provides unique personalized employment opportunities for individuals with developmental disabilities. Employment service organizations like Sugar Plum Bakery partner with DARS in providing situational assessments and job development, placement and training services and long term follow along services to individuals considered “most severely disabled.” Sugar Plum Bakery works in partnership with DARS to provide one on one employment assistance/training in the community. Sugar Plum Bakery provides in house group supported employment for individuals receiving waiver services who are interested in achieving their goals of purpose, social interaction, sense of belonging, and the independence created by earning a paycheck through successful employment.